Do you have birds in your yard? It’s not just deer that ticks feed on. They like birds too. So the tick feeds on a bird, sucking its blood, necessary to complete the tick’s life cycle. 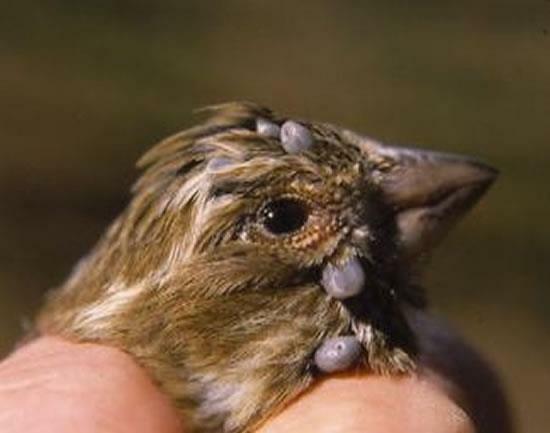 The tick may already carry the Lyme bacteria and other co-infections and will infect the bird. Or the tick picks up the bacteria from the bird and later infects another mammal when it takes its next blood meal. The tick is attached to the bird, the bird flies away and lands in your yard. Ready to infect its next blood meal. This entry was posted in Lyme Disease and tagged bacteria, Borrelia burgdorferi, Centers for Disease Control and Prevention, Ixodes scapularis, Lyme, lyme disease, tick, Tick-borne disease. Bookmark the permalink.